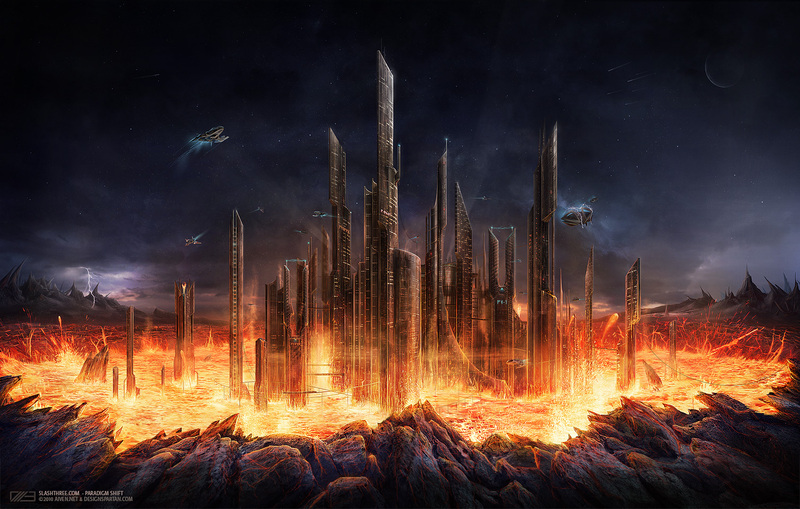 This matte painting is a collaboration with my friend Yvan Feusi. We really had pleasure working on this one. You can count 2-3h per building and 10h for the lava. I think this was a great challenge for us and we took the time it need to finish it (we were working on it during months…).